These are my personal notes on Zigbee that be be helpful if you are new to the protocol. Normal End device.-Sends and receives messages. The only node type that can sleep. 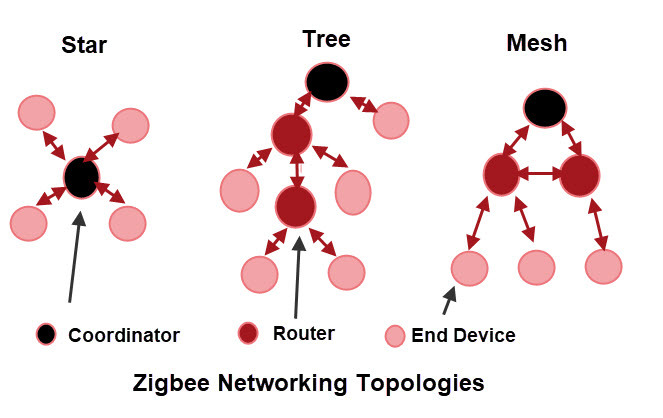 Zigbee networks can be configured to operate in one of three topologies. All devices have a 64bit MAC address assigned by the manufacturer. The MAC address is mapped to a unique 16 bit network address by the coordinator and assigned when the device joins the network. This is the Short address. Zigbee also provides support for group addresses which allows message delivery to multiple nodes. 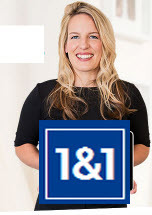 This is a 16 bit address assigned by the coordinating when the network is created. It is equivalent to the IP network address. A Zigbee node can support up to 240 applications. Each application is assigned an endpoint number in the range 1-240. This is similar to tcp/ip ports. A broadcast endpoint of 255 is also available. Encryption uses AES-128 and shared keys.